The ancient Near East is known as the "cradle of civilization" - and for good reason. Mesopotamia, Syria, and Anatolia were home to an extraordinarily rich and successful culture. Indeed, it was a time and place of earth-shaking changes for humankind: The beginnings of writing and law, kingship and bureaucracy, diplomacy and state-sponsored warfare, mathematics and literature. This Very Short Introduction offers a fascinating account of this momentous time in human history. The three thousand years covered here - from around 3500 BCE, with the founding of the first Mesopotamian cities, to the conquest of the Near East by the Persian king Cyrus the Great in 539 BCE - represent a period of incredible innovation, from the invention of the wheel and the plow, to early achievements in astronomy, law, and diplomacy. As historian Amanda Podany explores this era, she overturns the popular image of the ancient world as a primitive, violent place. We discover that women had many rights and freedoms: They could own property, run businesses, and represent themselves in court. Diplomats traveled between the capital cities of major powers ensuring peace and friendship between the kings. Scribes and scholars studied the stars and could predict eclipses and the movements of the planets. 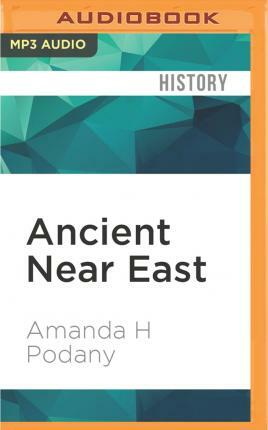 Every chapter introduces the listener to a particular moment in ancient Near Eastern history, illuminating such aspects as trade, religion, diplomacy, law, warfare, kingship, and agriculture. Each discussion focuses on evidence provided in two or three cuneiform texts from that time. These documents, the cities in which they were found, the people and gods named in them, the events they recount or reflect, all provide vivid testimony of the era in which they were written.